Be guided by Ana Davis through this beautiful Om Shanti Feminine Meditation which will help to ground you when you are feeling particularly busy or anxious. 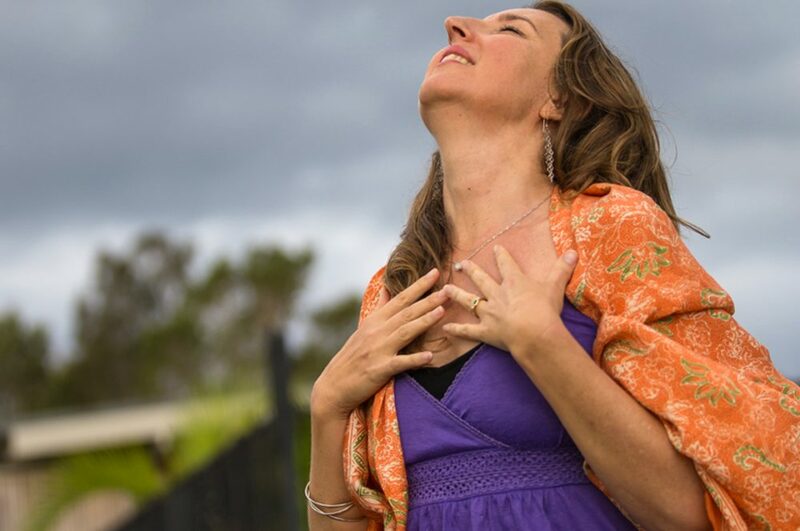 Exploring the breath and the chakras this short, yet effective meditation is wonderful for any point in your cycle, stage and phase of your life. Click the play button on the video below to practice along with Ana. Ana Davis, Founder and Director of Bliss Baby Yoga, has a passion for a feminine approach to yoga, and supporting women with yoga through all ages and stages of their life. Ana’s highly anticipated book, “Moving with the Moon – nurturing yoga, movement and meditation for every phase of your menstrual cycle and beyond” was released in October 2018. 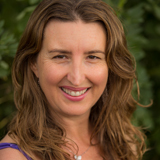 Ana has collaborated with Bliss Baby Yoga fertility specialist yoga teacher Rosie Matheson to create our new Level 1 Online Yoga for Fertility Teacher Training. She is also the lead trainer on our popular Online Prenatal & Postnatal Yoga Teacher Training Course and Online L1 Restorative Yoga Teacher Training course, and offers private mentoring and yoga sessions online, and online yoga classes.